Contemporary dance festivals are proliferating, attracting audiences with their sense of occasion, supporting local dance scenes and programming national and international dancemakers and companies. Salamanca Moves in Hobart, MoveMe in Perth, Dance Massive in Melbourne and now, in Brisbane, Supercell Dance Festival, co-founded by Kate Usher and Glyn Roberts. Sydney? Don’t ask. I spoke by phone with Roberts about the festival’s origins, its roots in Brisbane’s performance culture and Supercell’s overseas guests. Tell me a bit about the nature of the collaboration between you and Kate Usher, but first tell me a bit about Kate and how you met. Kate was originally working as a producer for Queensland Performing Arts Centre—about six years all up. During that time, she and I knew each other very vaguely. Then we both attended the Atelier for Young Festival Managers run by the European Festival Association held in Gwangju in Korea. Yes, you also have Suzuki companies like ozfrank and Zen Zen Zo and physical theatre companies like Circa and Cassus, and a dance course at QUT. That’s right. All these disparate things come from different places and I’ll never truly understand why this town loves Butoh so much, but it does. It goes back many years. Anyway, we thought dance could be something for Brisbane to get behind. For a small festival, there’s a lot happening in your program. There are some works RealTime has covered at Next Wave and OzAsia. Let’s talk first about some of the overseas works. How did the Chinese connection happen? At APAM I met Karen Cheung, the Artistic Director of both the Beijing and Guangdong Dance Festivals. She was very upfront. She said, “Well, you’ve got a festival going, can I bring a collection of works from Southern China to you?” And we thought that would be fantastic. And she’s stuck by her word and she’s done it! Hers is a very specific cultural export need to get works out from the Pan-Pearl River Delta through a supporting Delta Moves http://www.gdfestival.cn/en/delta-moves/ project. There’s a large very classical, almost contemporary ballet work from the Guangdong Modern Dance Company which has had a longstanding collaboration with Brisbane’s Expressions dance company. And then there are some interesting works out of Macau—Stella & Artists and Max Dance Hall. They’re much smaller works, much more experimental and almost sketch-like. They express a really interesting sensibility and sense of humour, quite weird and whacky and they sit beside the very serene and beautiful piece by Guangdong. While the companies are based in Guangdong and Macau, the dance artists are from Hong Kong, Taiwan, Guangzhou and Malaysia and the Philippines as well. So it’s fantastic that we have a delegation coming to show their wares in Brisbane. From the other side of the world you have from Switzerland (To) Come and See. How did this work appear on your radar? This comes back to Korea. Simone Truong was at the same event in Korea with us. She’s the AD of TanzPlan Ost, a festival that spreads all over the German-speaking half of Switzerland out of Zurich. It puts on amazing, highly complex contemporary dance works for a couple of weeks every year in small villages on the tops of mountains. Simone’s worked extensively with artists like Jérôme Bel. 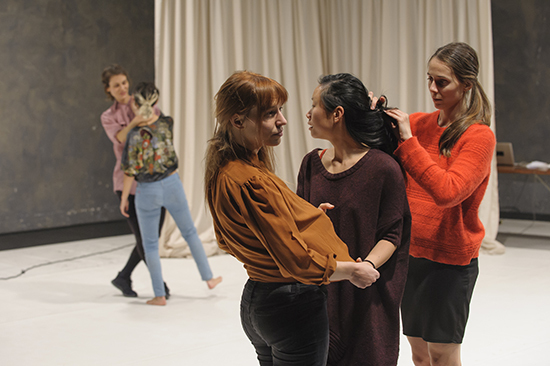 (To) Come and See has been created by Simone with four other female performers—Swiss, French, Greek and Israeli—and they all work out of Geneva and Zurich. This piece plugs into our desire with this festival to represent the broadest church of contemporary dance across the world, not focusing on any one city or particular style. This work is highly experimental, much more about performance and place and quietness. It’s also very much about identity and femininity. Among the Australian works, you have Sarah Aiken and Rebecca Jensen’s Underworld, which was very well received at Dance Massive and at Next Wave. 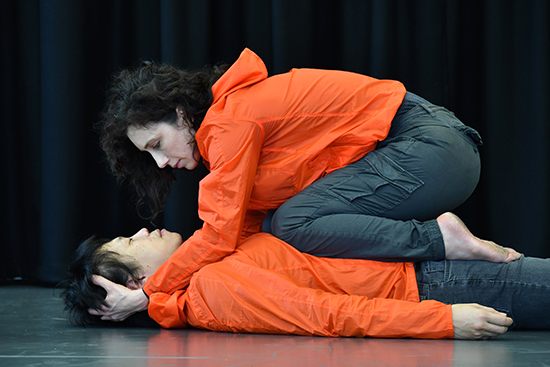 Tell me about Depthless, a new work by The Farm with dancer Kate Harman and musician Ben Ely. That one is going to be fantastic. I saw a development showing of it the other day at JWC. It truly does have that great rock ‘n roll dance theatre that Gavin Webber and Grayson Millwood do so well. It has a single dancer (Kate Harman) responding to the ‘noise’ that Ben Ely puts out on a multitude of instruments. Instead of him playing music and Kate dancing to it in her own world they’re responding to one another and it’s almost become a dance between the two different forms—perhaps even romantic. I don’t know where it might go to next. It’s great to see one of Australia’s legendary musicians rocking out to one of Australia’s best contemporary dancers. It’ll be a really amazing way to finish the festival. And very Brisbane, with a bit of Regurgitator! You also have an interesting film work in Interprète’s Inappropriate Behaviour. That one was very simple. Australian dancer, photographer and filmmaker Sonia York-Pryce emailed us asking, “Would you be interested in showing my work that explores dancing and dancers who are getting older?” No-one else had approached us with film work and we hadn’t considered it because we weren’t sure of the capacity of the venue to show it. But it became more apparent that we could. So that one was a lovely bolt out of the blue and we thought, why the hell not? It should be great. The festival has a connection with the Gold Coast—is that through The Farm? Totally through The Farm. How lucky is the Gold Coast to have Gavin Webber and Grayson Millwood set up shop down there and create Gold Coast’s first professional performance company? They’re amazing guys with such pedigrees with the works they’ve made and the companies they’ve worked with. We couldn’t put on this festival without them. That’s also why they’ve created the Bare Bones workshop. Before the festival starts, there’ll be a three-day dance workshop event at The Farm studios on the Gold Coast. It will involve artists from the collective but also Simone Truong and her ensemble will come early from Switzerland to take part. They’ll be creating and developing work and sharing skills down on beautiful Miami Beach. Once that’s finished, the participants will decamp, come to Brisbane and start the festival proper. The one work I forgot to ask you about was Bridget Fiske’s Inner Terra. We were really interested in Bridget and Joseph Lau. They’re a couple who had come through QUT Dance and gone on to great things. They’re based in Manchester, artists in residence with University of Salford and work a lot with Dance Manchester. Bridget has also been doing movement choreography on Belarus Free Theater https://www.belarusfreetheatre.com/. We wanted these guys back in Brisbane—a town they hadn’t brought any work to for a very long time—to open the festival. We’ve given them free rein to put on some of their best works and show a new one created with local emerging dancers. We’re desperate to see what Bridget has been doing and how it can inspire more makers in Brisbane to go out into the world. Do you think there’s a substantial audience for dance in Brisbane? 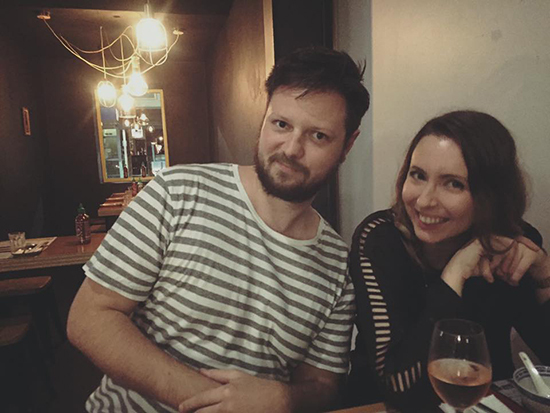 After working with Melbourne’s MKA Theatre, as Creative Producer with Brisbane’s La Boite and as co-founder of Supercell Dance Festival, Glyn Roberts has recently been appointed Festival Director of Victoria’s Castlemaine State Festival. He tells RealTime he’ll move to Castlemaine but will assist Kate Usher and remain on the Supercell Board.